Can 2020 equal minus 17? A standard measure of energy consumption is called a Quad. A quad equals one quadrillion (ten to the power fifteen} British Thermal Units (BTUs). A BTU is the amount of heat needed to raise one pound of water by a temperature of one degree Fahrenheit. A gallon of gasoline has approximately 125,000 BTUs of energy content so a Quad of energy is contained in 8 billion gallons of gasoline or about the amount of gasoline the USA uses in about 20 days. The Department of Energy reported the following usage of hydrocarbon fuels back in 2005 when old GW was the boss: Petroleum Liquids 40.739 quads; Natural Gas 22.583 Quads; and Coal 22.841 quads. When I look at these numbers from all sides of the quadrilateral I have sincere doubts that the USA will reduce natural gas usage by any amount. Therefore all of the reduction in carbon emissions will have to come from reductions in Petroleum Liquids (mainly oil) and coal. Coal is primarily used for electric power production as we hardly produce much steel with coke anymore. The problem for old Obama is that one third of the new power plants being constructed between now and 2014 are slated for coal as their energy source. Therefore unless many older less efficient coal power plants are shut I doubt that coal consumption can hit a 17% reduction target. But let’s assume that indeed we in the USA can lower coal consumption by this figure. Consumption of Petroleum Liquids will also reduce over the next decade but the 17% figure will indeed be difficult to achieve. My prognostication is that we will achieve a 10 to 12% reduction in oil usage but Liquid Petroleum Gas consumption will in fact increase. Therefore a 10% targeted reduction in Petroleum Liquids is plausible. As coal is more carbon intensive than petroleum liquids and in turn natural gas, the US should be able to achieve a 10% reduction in carbon emissions from 2005 levels in 2020. The politicians will use Copenhagen as their pretext of doing environmental good and will impose carbon taxes left, right and center to pay for their grandiose political agendas. On the emissions front Obama in his first year in office is off to a good start. Through the virtual destruction of our economy we will reduce carbon emissions by 5.6% in 2009 compared with last year. In 2020 I will be 68 years old, social security will be bust and I will hardly be able to afford a bus ticket let alone drive a car so my carbon footprint will reduce by 50% from 2005. Obama will be travelling in his private jet and will buy carbon offsets from Alfalfa Gore. You my friends will also have to do your part. Where do I get my tryptophan? Thanksgiving is again upon us. It is certainly my favorite All American holiday. Folks get to eat well and then sleep very well after eating a huge amount of calories in a massive turkey dinner. Legend has it that it is this certain protein called tryptophan in the turkey that causes the sleepiness. Tryptophan is a standard and essential amino acid in the diet. It is not true that turkey has more tryptophan than other foods, in fact on a per unit mass basis dried egg whites have four times as much tryptophan than turkey if you eat the same mass of the two foods. Parmesan and cheddar cheese are also richer in tryptophan than is turkey. My advice is if you really want to sleep well after your Thanksgiving meal, sprinkle your turkey with parmesan and have meringues for dessert rather than pumpkin pie. Actually all who eat over 1,000 calories will sleep well no matter what is on the Thanksgiving dinner menu. The Japanese company Showa Denko attempted to produce synthetic tryptophan as a food supplement in 1989. Unfortunately their quality control was terrible and they produced the dimer (two molecules connected) of tryptophan, a poisonous chemical that caused thirty seven deaths and permanent disability to over 1,500 people. Their manufacturing motto must have been try to kill two birds with one stone. All this talk of fowl makes me sad. Last year around Thanksgiving we had to put our dog Jason down. Jason was thirteen and a half years old and had a wonderful life. He was allergic to many foods and the vets at Alto Tiburon gave us the recommendation of a special diet when Jason was a small pup. His diet consisted of roasted chicken, rice, and fat free cottage cheese. Jason consumed one and a half chickens a week or about seventy five chickens a year. Therefore Jason accounted for the demise of some one thousand chickens during the course of his remarkable life. Only Colonel Saunders did in more of these fine feathered fowl. Jason loved all and was perhaps the easiest going dog on the peninsular. This thanksgiving we are going to miss Jason as he was always happy to substitute turkey for chicken and Thanksgiving was his favorite holiday except for perhaps the Jewish New year when he was given a special treat of chopped chicken liver. An Iranian friend of ours coined the name “shikamoo” for Jason. This Persian word can roughly be translated as glutton. Jason was no glutton for punishment. He was a wonderful dog that my daughter chose for the family many years ago. We should all give thanks for the Jason’s of this world. Maybe there is tryptophan in the afterlife? How green are the Alpine Valleys? I just returned last night from a week spent in Switzerland. My time was spent primarily in Basel and at a small town on Lake Zug near Zurich. I also visited Lucerne. Switzerland has incredible geographic beauty and is not an overcrowded place. In Basel it was interesting to note that folks often commute to work on bicycles even now in the late fall. The weather was actually very warm as a warm front from the Mediterranean had swept up from Italy and France, but folks there often commute on bicycles even in the winter. There are trolleys, buses and trains and many do commute via public transport. Many though do commute to work in their personal vehicles and although gasoline and diesel are pretty expensive at about $6 per US gallon those who commute in their personal cars are not dissuaded even by this high cost to use alternate transportation. Basel has a very old ferry system that is used to ferry a few passengers across the Rhine River. There are numerous bridges to walk over and the Rhine is no Mighty Mississippi. The ferry functions by a pipe sliding over a guide wire strung high above the river and attached to a small boat that may hold as many as twenty people. The operator sits at the rear of the boat and has a hand operated tiller for the rudder. By angling the rudder in the right direction the flow of the river and the tethering of the boat by a wire to the pipe on the guide wire the boat vectors across the river simply on the power of the flow of the river and without any human or mechanical power. This was by far the greenest idea I have seen in cross river ferry transportation and Basel gets the Green Machine award for the city keeping the ferry in operation. No doubt the ferry is subsidized by the city as it only cost about a dollar a ride. A small café au lait in a coffee shop costs about five dollars. I did have breakfast on the banks of the Rhine quite near the spot where the ferry operates and I chose hot chocolate over coffee as the hot chocolate in Switzerland is wunderbar. Several Swiss candy companies are now owned by Nestle as well as Kraft but there are still a few independent chocolate bar manufacturers who purvey the best chocolate I have ever tasted. All this talk of calorie laden delights has me thinking of a news item I saw last night on the CNN internet web sight. It was reported that gangs in Peru have killed some people for their body fat that is then used for high end cosmetics and in reconstructive surgery. http://www.cnn.com/2009/WORLD/americas/11/20/fat.dead.humans.peru/index.html The value of the human fat was reported by CNN at $15,000 a liter or almost $60,000 a US gallon. A liter of fat does not have as much fuel value as a liter of gasoline as human fat is already partially oxidized and gasoline is simply a hydrocarbon. Perhaps gasoline will also cost $15,000 a liter one day in the future. The Peruvian thugs make the plastic surgeon in Los Angeles who was arrested about a year ago for converting human fat he obtained from patients he had liposuctioned into biodiesel look extremely dumb. The LA plastic surgeon who fueled his Mercedes derived a paltry $5.00 a gallon when fuel prices peaked in the summer of 2008 in California. Human greed shows no bounds does it? Nor does the human desire to be thin and look Wunderbar show any bounds. A few weeks back I blogged about the falcon that could not fly. This was the story about the kid who never flew in the stray helium balloon. I prognosticated that the whole event was a big hoax to drum up publicity for the family. This week the parents pleaded guilty to criminal charges brought against them. http://news.yahoo.com/s/ap/20091113/ap_on_re_us/us_balloon_boy The father pleaded guilty to a felony charge, the mother to a misdemeanor. If the parents do get a few days in jail will Falcon help them fly the coop? Young Falcon actually could not tell a lie and puked on national TV during the morning show the day after the phantom flight of the falcon. Falcon’s folks are not the only folks who I have called out for perpetrating a hoax. Raser Technologies with their 100 mpg Hummer that they sold our idiot governator on are far bigger haoxsters than Falc’s folks. Raser even had the audacity to take their pile of junk to the steps of the US Capitol and have Senators and Congressmen drive the heap of steel around the capital. Should the CEO and the VP of Marketing for Raser also cop a plea bargain. I would hope that the long arm of the law would extend to those who defy the laws of thermodynamics just like those who pretended their six year old was missing in a fly away balloon. While the gullible population of the US may have been glued to their TVs watching CNN and the US Air Force follow a flimsy collapsing helium balloon for two hours, Raser and their friends have had an idiot governator make multiple speeches that the problem with vehicles is that the vehicles are not too large but the engines inside them are not efficient. Here is Raser’s link of the idiot driving the monstrosity http://www.rasertech.com/media/videos/governor-schwarzenegger-with-hummer-at-capitol . The Detroit News is quoted as saying that Arnie loved the 100 mpg Hummer so much he said "There is nothing wrong with the Hummer; it’s great vehicle," he said, according to The Detroit News. "We should change the technology within those vehicles." We do have a warped legal system. The Falcon’s parents pleaded guilty after the DA in their town threatened to deport the Japanese born mother. The rationale was the parents were not being good parents. Yeah she will make a great mother 8,000 miles away. How about deporting Arne back to Austria as he has not been a good governor and he was made to look like an idiot by Raser. I have no knowledge of whether Arnie has any dealings with Raser but some have reported he will be the first person to get one of the “100” mpg Hummers. http://www.wired.com/autopia/2009/04/hybrid-hummer-c/ I say it is time to focus on prosecuting the turkeys rather than the young falcon as we move forward with exposing those that have repeatedly violated the “Second Law’. 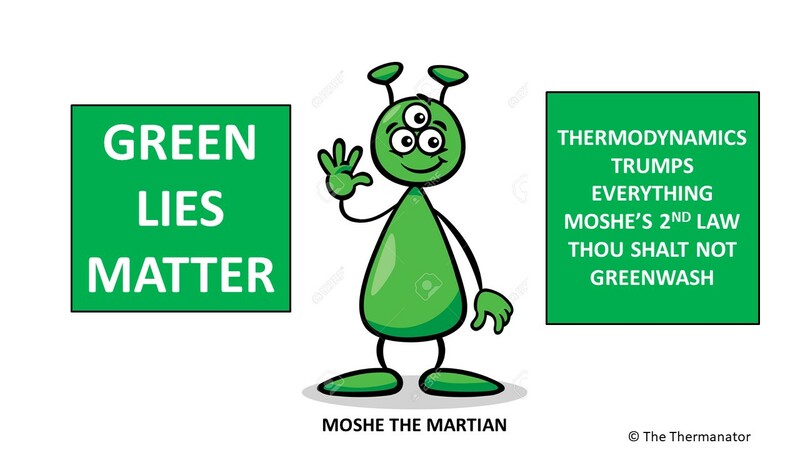 I love the legal system that jails those who create a 2 hour hoax that keeps fools spellbound and let’s those that repeatedly fake us out about a mythological 100 mpg Hummer stay free to drive on their hydrogen highway to nowhere while masquerading as the Jolly Green Giant. Good news this week from a Norwegian technology company called Re Volt. http://www.greencarcongress.com/2009/09/revolt-20090901.html They claim to have made a breakthrough in zinc air batteries that are rechargeable. 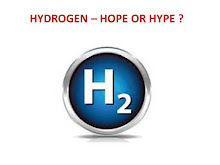 Back in 2003 when I wrote my book on sustainability I wrote several pages on the hope of zinc air as an alternate method of storing energy and having a “rechargeable fuel cell” that may actually work. I postulated that if the zinc oxide that results after the oxidation reaction of zinc could be easily converted back to zinc a lightweight high power fuel cell could be developed that is also relatively inexpensive compared with PEM fuel cells and lithium batteries. The zinc air battery is relatively light as it does not have to contain the oxidizing chemical as oxygen in the air accomplishes this. Zinc is also abundant, non toxic and relatively inexpensive. It is also safe from an electrochemical point of view. In my book I envisioned a train that had a zinc air fuel cell that powers electric motors. Several tons or tens of tons of zinc pellets are fed from a carriage into the zinc air power plant (engine) and pellets of zinc oxide are then stored in another carriage for reprocessing. When the train reaches it destination the carriage with the zinc oxide is decoupled and a new carriage with zinc pellets is attached. The zinc oxide is then reconverted (reduced) back to zinc at a refinery. It looks like Re Volt has cracked the nut of how to effectively reduce the zinc oxide (recharge) back to zinc within a contained battery and they claim they can do this many times over. Viola you have a less expensive lightweight powerful rechargeable battery. This is truly big news if indeed Re Volt has cracked this nut and solved this trying problem other have struggled with for quite some time. This zinc to air talk had me thinking about the possibilities of an aluminum air battery. When aluminum oxidizes it too yields an electric current. School kids can perform a science experiment with a small piece of aluminum foil and create an aluminum air battery. The problem with aluminum is that once the surface of the aluminum has oxidized with the thinnest of layers of aluminum oxide, the oxide forms a passivation layer that prevents further oxidation. This is great for aircraft, windows, RVs etc. that are made from aluminum as they do not rust. It is terrible for a battery though as the moment the oxidation reactions atop the battery stops yielding any current. A single aluminum soda can contains about 200 watt hours of possible oxidation energy. By comparison one needs a lithium battery that has a mass of 2 kilograms to yield the same quantity of energy. If once could safely convert the used soda can into aluminum powder it would then be possible to have a longer lasting battery as the surface are of the aluminum is increased many fold and the oxide passivation would be less immediate. Unfortunately aluminum powder is highly explosive and if it catches alight the more water you pour on it the more it burns. Please recycle your aluminum soda cans as we do save as much as 3 hours of electricity to power your television if a single aluminum can is recycled rather than thrown into a landfill. I will be watching Re Volt with great interest to get developing information on whether they have really cracked this nut or are they simply another company like many other that have short circuited when air was allowed to pass over their zinc and simply became a money sink. In case you have not seen the youtube video of the German Coast Guard guy who mixed up sinking with thinking here is a link to that video. http://www.youtube.com/watch?v=6zkZ3f8DnKs I pray the Norwegian words for zinc and sink are not too close. A quick update. I received an email from Melissa a very smart professor of strategy at one of the country’s leading business school. In the past she has used some of the blog material to explain energy and sustainability to her MBA students. She asked me in her email if could opine of the added carbon emissions that occurred simply to replace clunkers with slightly more efficient vehicles. I did the math quickly and responded to her a couple of days ago. Melissa You are so right. The 2 miles per gallon gained on the 150,000 (Edmunds) vehicles is worth about 50 gallons of gasoline per year per vehicle. This equals 7.5 million gallons a year. The CO2 saved is 150 million pounds a year or 75,000 tons a year of saved CO2. To recycle and produce steel (most efficient from CO2 perspective) is about 2 tons of CO2 per ton of steel. The new cars have 1 ton of steel (minimum) so we have 300,000 tons of added CO2 just in recycling the steel. That equals four years worth of the saved emissions. Add the plastic, aluminum, chrome, rubber, paint, etc and we have 6 to 8 years. If the steel came from the average steel mill (mix of recycle and virgin) it would take 8 years to recover the CO2 just in the steel. If the steel came from a steel mill that uses virgin iron ore and coke it would take 12 years to recover the CO2 just in the steel. A far better program would have been to give each clunker owner free gasoline for 2 years if they used the clunkers to car pool to work with other clunker owners. An update on stocks that I determined were hype. Raser (RZ) is down to a $1.11 I dinged them and their hype of the 100 mpg Hummer a few months back when they hyped their stock to $4.00 a share. Verenium (VRNM) has gone through a reverse stock split and is close to dying. I dinged them and their cellulosic ethanol six months back. A 123 Battery (AONE) that I dinged a couple of weeks back when they first went public has lost all of their initial gain. I predict they will be A down for the 10 count within three years. Just today Mark a very smart MBA asked me if we needed an ETF (electronically traded fund) of a basket of green companies. I responded that a basket of basket cases is basket squared. Folks don’t believe all that glitters is gold, true green will not lose its sheen. Ironically, the average transaction price for a new vehicle in August 2009 was only $26,915 minus an average cash rebate of $1,667. "This analysis is valuable for two reasons," explained Edmunds.com CEO Jeremy Anwyl. "First, it can form the basis for a complete assessment of the program's impact and costs. Second—and more important—it can help us to understand the true state of auto sales and the economy. For example, October sales are up, but without Cash for Clunkers, sales would have been even better. This suggests that the industry's recovery is gaining momentum." "Our research indicates that without the Cash for Clunkers program, many customers would not have traded in an old vehicle when making a new purchase," Edmunds.com Senior Analyst David Tompkins, PhD told AutoObserver.com. "That may give some credence to the environmental claims, but unfortunately the economic claims have been rendered quite weak." To conduct the analysis, the Edmunds.com team of PhDs and statisticians examined the sales trend for luxury vehicles and others not included in Cash for Clunkers, and applied the historic relationship of those vehicles to total SAAR to make informed estimates. These estimates were independently verified through careful examination of sales patterns reflected by transaction data. Once the numbers were determined, Edmunds.com's analysts divided three billion dollars by 125,000 vehicles to arrive at the average $24,000 per vehicle. Of course the pres the congress and their supporters are arguing that cash for clunkers was an enormous success and Edmunds was invaded by the GOP. But now the pres will give mega bucks to the smart grid for dumb Americans. How many dumasses will rid themselves of six TVs, three refrigerators, and their 2,000 watt hair dryer just because they have a smart meter that the utility company will install on their incoming electric line. Why don’t we just charge more for electricity, more for gasoline, more for natural gas and give the added money to folks who actually will help save the planet? Who are these people? They are children who need a real education and may not be as dumb as the generation of adults who bought SUVs, large houses miles from nowhere, and have to have six TVs and three refrigerators for their beer to watch TV. Let’s get real big brother does not need to watch an electric or gas meter spin, it needs more of your money. It should just admit that a $10 per million BTU energy tax is needed. We use 80 quadrillion BTUs of fossil fuel and doing the math the government can raise $800 billion a year right there to pay for real education for the future generation that will also need to be good at breathing carbon dioxide. Hey Patrick glad you read the piece. I have no technology that I own or promote. I just promote knowledge and help folks understand in a simplified way the laws of thermo dynamics. OK so you guys powered a 35 pound drone with 4 pounds of hydrogen and kept it aloft for 23 hours with a 0.75 kw fuel cell. Please tell us how much the US Navy paid for this toy? A fuel cell vehicle like the Honda needs about 0.3 kwh per mile. This means we need 0.5 kwh of hydrogen as the FC is approx 60% efficient. The production of H2 from natural gas is approx 75% efficient so we need 0.67 kwh of natural gas for the vehicle to go a mile. A gallon of gasoline has 33.7 kwh so your Honda fuel cell vehicle gets 50 mpg equivalent. Same as the Prius on Gasoline. The prius is sold (not leased) for $22,000 and the Honda fuel cell vehicle costs Honda over $400,000 to produce. Patrick you should get real and you should stop playing games nicely. I could have taken the 4 pounds of hyrogen that were burned in keeping the drone aloft and used them in a balloon to displace 28 pounds of air and therefore lifted 24 pounds of balloon plus load. Let's say the balloon weighs 4 pounds so I can lift 20 pounds of payload. The lighter than air blimp will need about 1/3 the fuel to go the same distance as the drone as I do not need thrust for lift and only need thrust for propulsion. Now that you have learned physics 001 please go to Congress for another $3 billion of my tax money so It can be wasted on repulsion instead of propulsion. Patrick let's continue this debate as I note you are the Vice President, Technology and Communications of the National Hydrogen Association. Readers you can also go to the NHA site at http://www.hydrogenassociation.org/ Patrick after our debate we will poll the greenexplored readers to see if they have been given value for $3 billion of tax payer funding. News out of Russia is that it is one of the few G20 countries that are actually getting greener. Since 1990 greenhouse gas emissions are down by over a third. Before we all celebrate that Putin and his boys are green guardians, most of the reduction is a result of decreased economic activity after the fall of the soviet empire. Of late though the Russian economy has been growing and this resource rich country that spans two continents will again begin to emit increasing amounts of carbon dioxide as living standards improve, more personal vehicles are bought, and Muscovites give up on living like the Honeymooners and emulate the Brady Bunch lifestyle. Perhaps they won’t have eight kids in a household though. The population of Russia is in decline and is now some six million less than a decade ago and the trend continues with a high death rate and an extremely low birth rate. Russian men drink ethanol at an amazingly alarming rate and this is the dominant reason for a high death rate in their country. Life expectancy for Russian men is only 59 years. For women life expectancy is 72 years. The Russian population is now 142 million and could go as low as 110 million in 2050. In 1939 before the start of world war two the population of the Russian part of the Soviet Union was also 110 million. While the folks in the USA guzzle ethanol in their vehicles to the tune of some 30 gallons a year, the men in Russia think of their bodies as a Chevrolet and guzzle an equal amount of booze in a year. If only alcohol could kill off Clunkers as fast as men we may have a greener world. While the Russians may have inadvertently become green by closing inefficient state owned heavy industries after the collapse of communism and by loosing population, there is in fact a lesson that should be learned here. These two reasons for the lowering of the environmental footprint of mankind are indeed where the focus of all our attention should be placed. The population explosion is by far the biggest cause of the degradation of the environment. The second is that a country such as China produces half of the steel in the world using primitive steel making techniques that employ coal and are reminiscent of the steel industry in Pittsburgh in the 1930s. If the steel industry is to rationalize and clean up, countries such as Australia and Brazil should produce more than half of the worlds steel supply. Australia has vast iron ore and natural gas reserves and producing direct reduced iron in Australia would yield steel with a third less carbon emissions. Brazil is blessed with vast and excellent grade iron ore. Its neighbor Bolivia has abundant natural gas. These two could combine to form a low cost, low emission steel manufacturer. Iran and Russia are also blessed with vast natural gas reserves. Even if Iran developed its economy to the point where each citizen consumes as much electricity as each citizen of the USA, Iran has sufficient natural gas to generate electricity for over 200 years. Iran has a population of 66 million and this country has seen its population grow massively from only 17 million in 1950. They are not the only country placing an increased burden on the planet, the USA has essentially doubled its population since 1950. We are told that increased education leads to increased living standards and decreased population growth. The USA should also lead by example and educate it citizens to understand the implications of the suburban lifestyle that Hollywood has glorified to audiences around the world. Perhaps then the Iranians will follow in the footsteps of their Russian friends to the north and slow their population growth and enjoy life albeit shortened by shouting Nasdrovia . I am posting this cartoon courtesy of the cartoonist Zapiro http://www.zapiro.com/ and the South African Sunday Times. The cartoon says it all for this week. I was granted permission by the cartoonist to post the cartoon but there is a copyright that is held by the cartoonist so do not copy this cartoon and use it elsewhere. Sometimes it's easy to be green - turning off the lights, unplugging your cell phone charger, and taking the bus are pretty effortless. But sometimes being green can seem downright silly. So we have a poll today that asks, where do you draw the green line? Is it making your own sandals from old tires, powering your laptop with your feet, wearing loafers made from beer can pull tabs, or pee-cycling?